Last month, during an interview with The Detail, Attorney General John Larkin came out in favour of filming court proceedings as part of further opening up the legal system to the general public and boosting their confidence in the justice system. The drive for more open justice is not just emerging from Northern Ireland. The Master of Rolls, Lord Neuberger, issued a similar statement a few months ago himself, saying, "If we wish to increase public confidence in the justice system, transparency and engagement, there is undoubtedly something to be said for televising some hearings”. The UK Supreme Court now sees its hearings live streamed from the Sky News website, cameras have been allowed in Scottish courts since 1992 and calls from numerous top legal officials for increased transparency have been made. The issue of allowing cameras in court has been pushed by many in the media. Sky News, for example, issued The Detail a statement from its Associate Editor, Simon Bucks, explaining that “Sky News is campaigning to allow cameras in all UK courts”. This seems to be quite an extraordinary statement. Family courts sans cameras have long barred journalists from producing any coverage, so to propose they introduce televising their proceedings, along with other courts, is an incredibly bold idea. He continues; “We believe allowing the cameras in is in the public interest. It is about democracy and being able to show a part of the democratic system which remains closed to television. “In an era when more people get their news and information from TV and video than any other medium, we believe that the relaxation of the ban on cameras in courtrooms is long overdue." Yet the goals of those in the media are distant from those in the legal profession. While senior legal figures discuss televised court proceedings with serious restrictions – such as not filming witnesses or defendants – the media proposes reforms without any concern for these issues, presumably in an attempt to open the door to the sensationalist court coverage seen across the Atlantic. Just this month, America has been enthralled by the trial of a woman called Casey Anthony, who was accused of murdering her 3 year old child. The trial was broadcast live across national television and received extensive coverage on the cable news channels. The New York Post described it as “one of the biggest ratings draws in recent memory”. Time magazine called it “the social media trial of the century”. The ‘Nancy Grace’ show on news network HLN grew its audience by over 150 per cent because of the trial. It seems clear why loss-making Sky News is campaigning for cameras to be brought into court. Through this coverage, people became interested in and cared about legal proceedings. The trial was wholly open to the public. What it brought forth, however, was the brand of voyeurism usually reserved for reality television and celebrity gossip magazines. Television commentators were analysing any smile, smirk or other facial movement and giving their own opinion on whether Anthony was telling the truth. Indeed, when Anthony was found innocent of the murder, the media judged her. “The devil is dancing” at the Anthony verdict, claimed Nancy Grace, and a clip of Anthony laughing was played continuously. Whether Anthony was innocent or not, regarding this issue, is irrelevant. What is relevant is that America saw two cases in action; the actual trial, streamed live across America, and the trial by pundit, channelled through their captivated audience. The power created by the film of the court cases gives the public the perception that they themselves can create a verdict as accurate as the jury. This is a dangerous fallacy. What fanciful verdict is conjured up really comes from the footage news editors select, digested by the public. Yet as one court reporter on CNN stated, “Television doesn’t cut it. It’s different when you’re a juror." Now, as Anthony is released, there are fears surrounding her safety after numerous death threats. 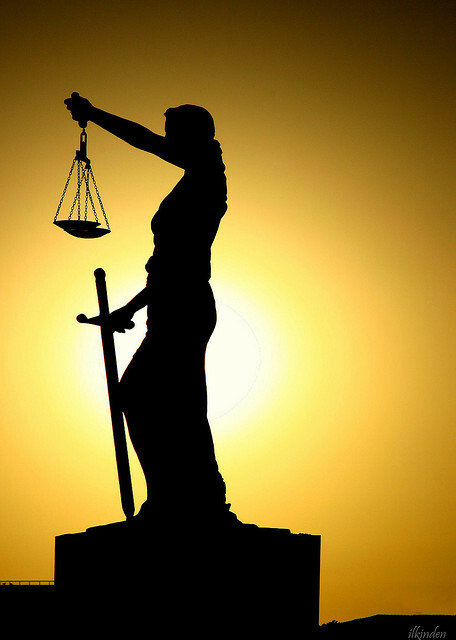 How can justice be done when it is so patently ignored? Jurors were even dragged onto the cable news channels to explain the verdict. While it may be said that a case of the profile provided by the Casey Anthony trial occurs rarely (the OJ Simpson case being the only other notable example) the point remains that to tar and feather a potentially innocent defendant through the media, to the point of their life being at serious risk, is unacceptable. In the scenario that the UK has televised court proceedings, we may feel that our different TV news culture would ensure this kind of salacious coverage could be avoided, but we have already seen a similar effect from the leaders’ debates during the 2010 general election. Regardless of the safeguards and restrictions the legal community would place on filming in courts, the trajectory many in the media would have us on is clear, and the danger that the familiarity of cameras in courtrooms would facilitate further liberalisation toward American-style rules is therefore present. Beyond this, the restrictions that would presumably be placed on what could and could not be broadcast, as with the UK Supreme Court, would render the footage so dull it would scarcely be used by broadcasters or watched by members of the public. The Supreme Court live stream, for example, provides an example of the type of footage we would see from our own courts; legal wrangling between the representatives. The footage has been used by very, very few broadcasters and Sky News has yet to respond to questions on how many people watch the live stream. If a facility for open justice goes unused, it is clearly ineffective. As such, its sole purpose is to create the pretence of openness, without delivering any of the benefits of actual openness. And such a venture would, in light of cuts to legal aid, seem outrageous, given how much it would cost. A similar project, the filming of the Assembly, costs £2.5 million across 6 years, with an additional £1.79 million having been spent on equipment. This excludes the cost of any initial alterations needing made to the building itself. After Anders Breivik’s initial hearing for the recent harrowing events in Norway, a judge involved in the case took a press conference on questions related to legal issues, further details of the case and proceedings as well as the nature of his custody. This was a striking contrast to the way our own justice system operates and directly engages with the press and, consequently, engages with the public. It would is also cheap. Legal professionals frequently complain about the, sometimes, low quality of law reporting in the media, but these same professionals do not make life easy for journalists. The press, while not a dying industry, is certainly struggling. Newspapers do not have the resources for full time court reporters, so are more reliant on information they can quickly access at their desks. Heather Brooke, the journalist who waged a five-year campaign for the release of MPs’ expenses, has written extensively about opening up information from public services. Regarding courts, she says that both the evidence used in a full bundle, as well as full court transcripts, are difficult, expensive or sometimes simply impossible to acquire. Writing in the Guardian, she states “If we are serious about wanting this type of journalism, we have to make it easier and more cost-effective to access information legitimately.” That is to say, no longer through systems which are either expensive or based on who the reporter knows. Recommendations are coming from the UK’s own legal professionals, as well. A few months ago, Lord Neuberger gave the annual Judicial Studies Board lecture. In it, he stated three ways the justice system can vastly improve its engagement with the public; judgements that are clear and concise, a better use of technology to educate and engage the public and as few restrictions on open justice as possible (like super injunctions). He criticised judges for “producing judgments that are readable by few, and comprehendible by fewer still”, stating that if law is to be properly accessible judgements must be as short as appropriate and written in plain English. Another issue is that it would seem the legal system does not fully grasp what is involved with television. If legal professionals want more people to be engaged with the legal system, they must understand that what makes an accessible report on the evening news is not simply a reporter reading off their notes to camera in front of a court. Being able to show the evidence displayed in court that day, simply a picture or CCTV footage, not only helps create a report more accessible to the public but also aids the media in following the legal requirement that reports are accurate and fair, but also contemporaneous – that is to say, that reports on court proceedings are issued near the time of their occurrence. Surely allowing a reporter to show what was publically shown in court to their audience the very same day is an effective method of ensuring that events are presented to the public in their totality contemporaneously. It also seems reasonable to assume that promptly issuing court transcripts, either free or in an inexpensive manner, would further aid that goal. The justice system must not embark on expensive endeavours which serve only to give the image of openness when, clearly, there are other cheaper and more effective reforms needing made.